PLEASE PLEASE PLEASE HELP US!!!! Unfortunately nothing not many things in the word are free and that includes scouting. When we started the scout group we had very little equipment and for the first year we borrowed everything we needed from various places and also had some old equipment from other groups donated to us. Over the last few years with a great effort from everyone we have managed to replace most of our camping equipment. We try and keep the cost of activities as low as possible but without fundraising we would not be unable to do this. This is where you can all help us. There is away that we can get money for free. 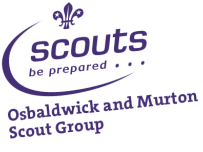 Easyfundraising is a site which will donate money to Osbaldwick Scouts when you shop online. You just need to login to easyfundraising to purchase your products, the products you buy are no more expensive than if you went direct to the website you are buying from. Some donations may only be a few pence some maybe a few pounds but if everyone helps out it will soon add up. Click on the button above for more instructions.